Our top-ranked degree programs are specifically designed and priced to meet your needs, no matter who you are or where you are in life. Approximately 85 percent of Rollins students receive some form of financial aid and the average Rollins student graduates with less student loan debt than the national average*. Correspondence from the Student Account Services Office (including monthly billing statements) will be sent to the student's official College '@rollins.edu' email account. Students are expected to check their email on a frequent and consistent basis in order to stay current with College-related communications. For additional information about billing at Rollins, please visit Student Account Services. 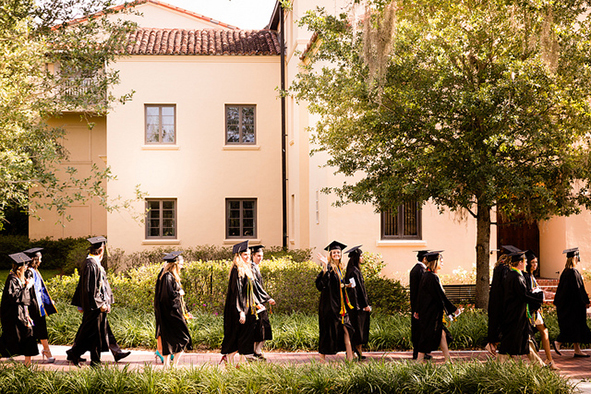 * Average debt for Rollins College graduates is $21,500 (Source: whitehouse.gov). The national average is $26,600 (Source: money.cnn.com).